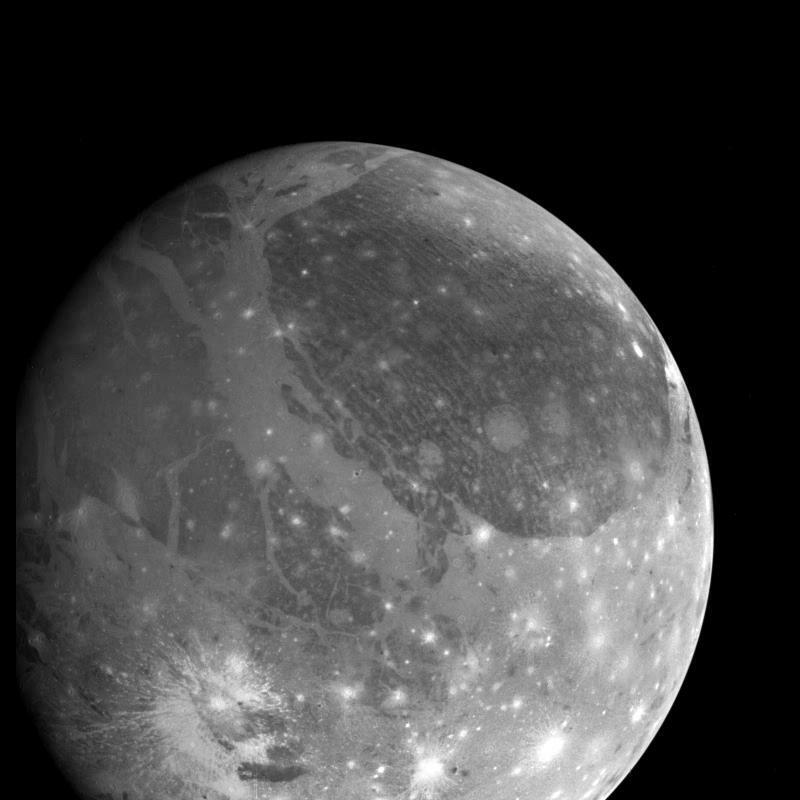 View of Ganymede from the Galileo spacecraft during its first encounter with the satellite. North is to the top of the picture and the sun illuminates the surface from the right. 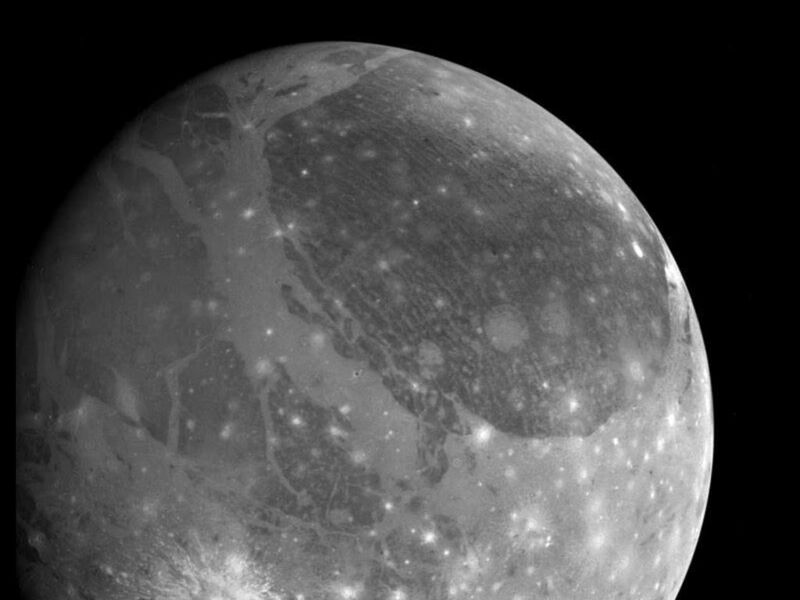 The finest details that can be discerned in this picture are about 6.7 kilometers across. The Universal Time is 8:45:09 UT on June 26, 1996. The Jet Propulsion Laboratory, Pasadena, CA manages the mission for NASA's Office of Space Science, Washington, DC. 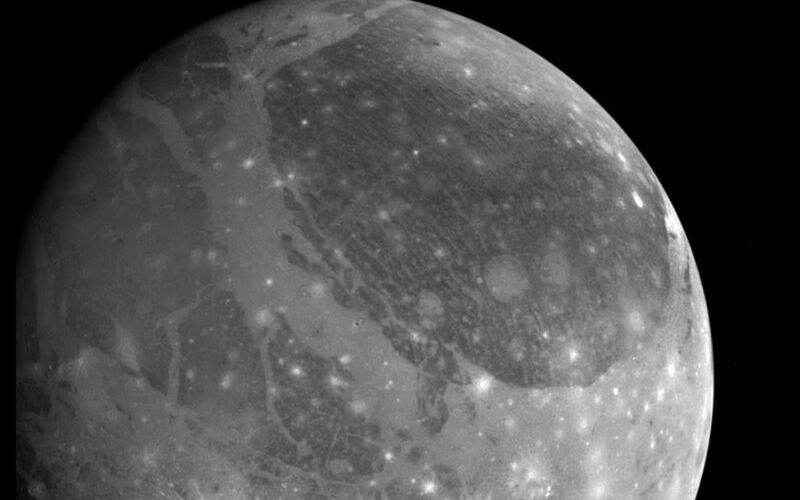 This image and other images and data received from Galileo are posted on the World Wide Web, on the Galileo mission home page at URL http://galileo.jpl.nasa.gov. 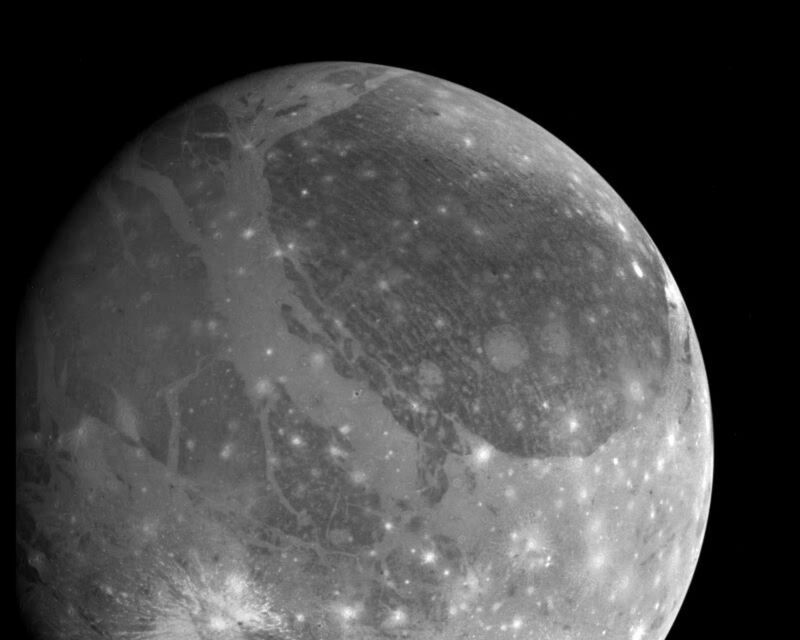 Background information and educational context for the images can be found at http://www.jpl.nasa.gov/galileo/sepo.